It was possible to vote normally. The centre fills up with many people from an early hour. 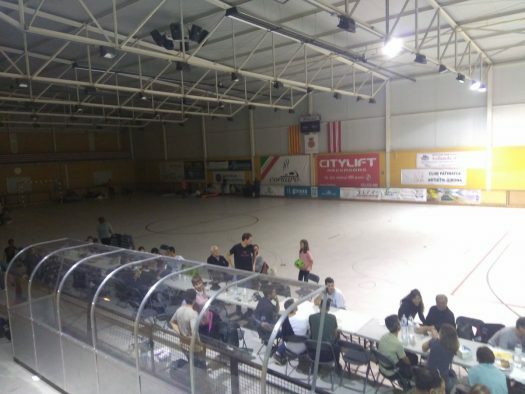 As polling station in Girona city are being closed by police repression, the number of people at this polling station increases. The Policía Nacional arrive and on seeing so many people fall back. At six in the morning the place is already full of people (video by Neus Santamaria). Early morning. People chant "Votarem" ("We will vote"). Firefighters protect the polling station. 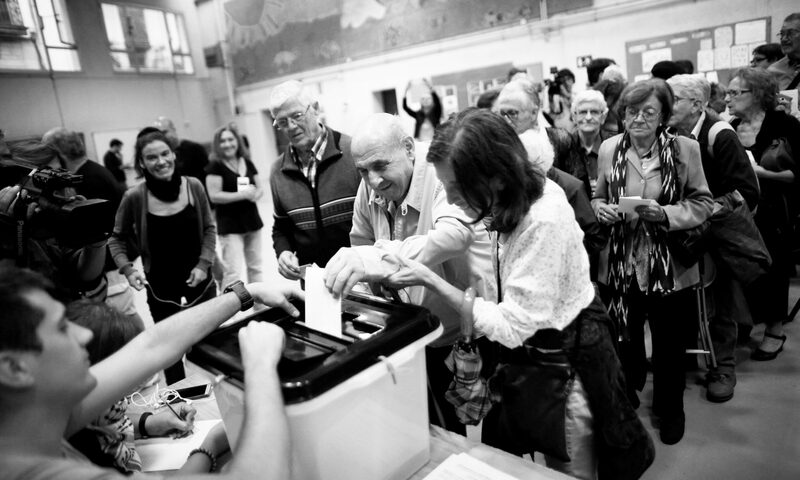 Many people go to this polling station after many of the schools are closed. 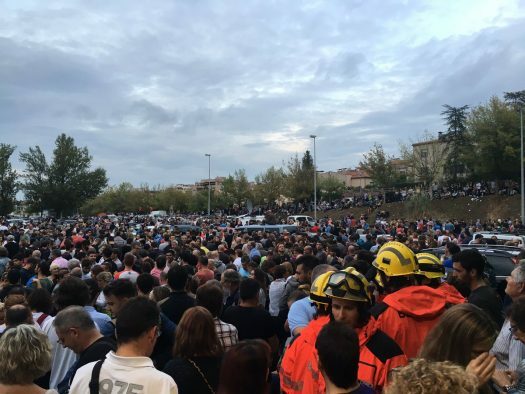 About three thousand people are concentrated outside the polling station. 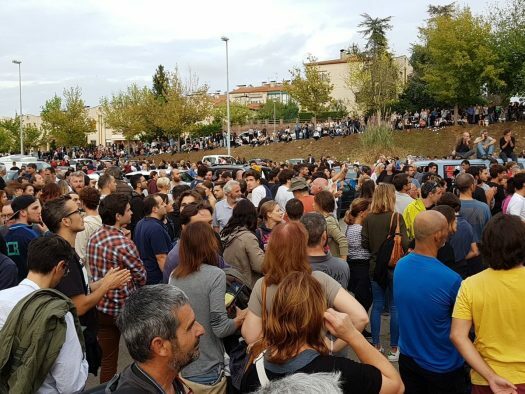 Huge crowds of people are concentrated at the polling station (video by Dani Chicano). Cars are placed in front of the Pavilion to prevent the police from entering.